Unblu empowers financial institutions to increase online conversions, deliver better customer experience and build successful business relationships. 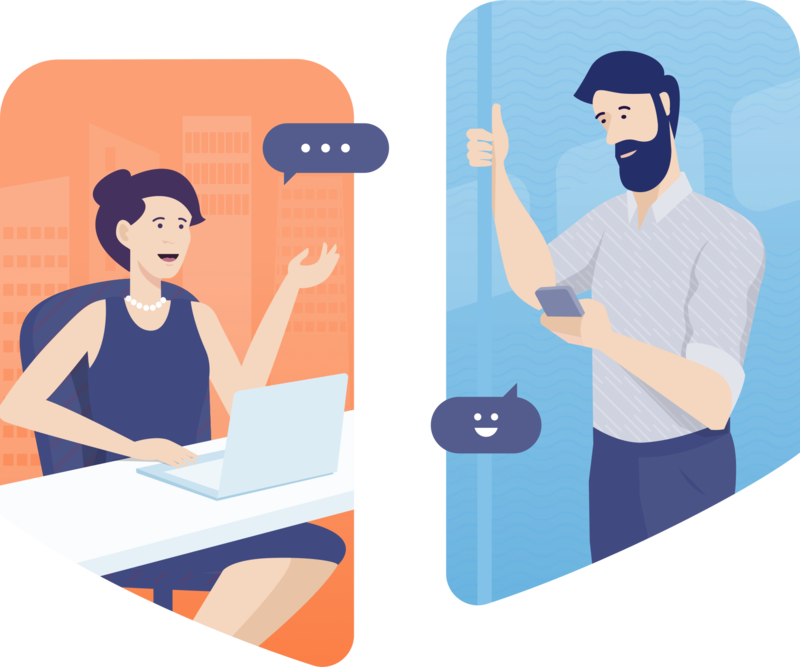 Unblu features take conversations to a new level of engagement. With one click, customers choose how they want to interact, and can switch channels when it suits them. Highlight elements on the visitors webpage — all in real time. Engineered for highly regulated businesses. We help you bridge the gap between customers and your support, sales and advisory teams. Customers tell us that something is still missing from online banking – they want personal interaction. Unblu bridges the digital divide and brings the human touch to online interactions. Clients expect their advisors to proactively look out for their interests and keep them informed of opportunities. Unblu helps you build relationships and guide clients through their financial decisions. People insure things that are personal to them - their health, their home, and their family. Unblu enables you to support your customers at the side of a road, in a hospital corridor or at an airport. More than 90% of retail banking customers who used the Unblu interface reported they would recommend it.